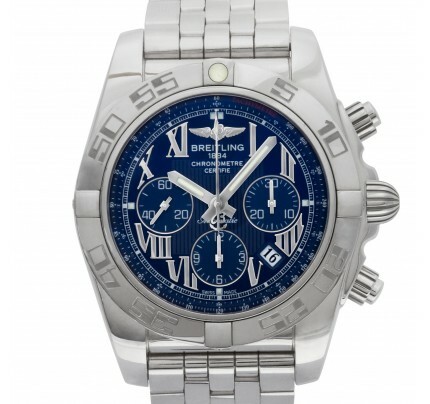 Breitling Bentley Flying B in 18k white gold w/ factory original diamond dial, case & bracelet. Auto w/ subseconds, date and chronograph. Ref j44365. Gray & Sons recommends having this item periodically serviced, as needed, directly with the manufacturer to maintain its pristine condition & collectible nature. As such, the usual Gray & Sons warranty & “Like New for Life” policy do not apply to this item. Payment will be by check or bank wire only please. 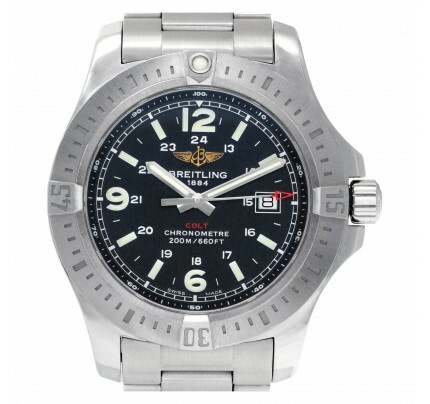 Fine Pre-owned Breitling Watch. Certified preowned Breitling Flying B j44365 watch is made out of white gold on a Gold Link band with a 18k White Gold Fliplock buckle. This Breitling watch has a 40 mm case with a Rectangle caseback and White Diamond dial. It is Gray and Sons Certified Authentic and comes backed by our 12-month warranty. Each watch is inspected by our certified in-house Swiss-trained watchmakers before shipment including final servicing, cleaning, and polishing. If you have inquiries about this Breitling Flying B watch please call us toll free at 800-705-1112 and be sure to reference W517334.